• NUI Galway to lead new national medical device research centre • NUI Galway to play key role in 3 of 5 new centres • €155 million of new Exchequer funds for 5 world-class Research Centres • €90 million co-investment by over 165 industry partners in new Centres A new world-class medical device research centre is to be established at NUI Galway as part of a €245 million Government investment in science and technology. In addition, NUI Galway is to play a key role in two other research centres announced today in Dublin by Richard Bruton, T.D. Minister for Jobs, Enterprise and Innovation, and Damien English, T.D. Minister for Skills, Research and Innovation. An announcement of a total of five new SFI Research Centres today is a major investment by the Government in scientific research which is closely aligned to industry and enterprise needs, job opportunities and societal goals. A total of €155 million of Irish exchequer funding will be invested in the new world class research centres of scale. The new funding will be delivered through Science Foundation Ireland’s (SFI) Research Centres Programme coupled with over €90 million in cash and in-kind contributions from industry partners. 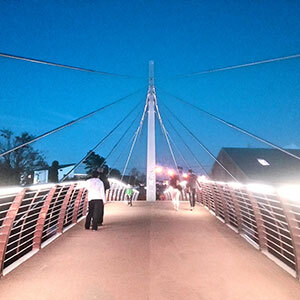 The funding will be provided over the next six years with a mid-term review. 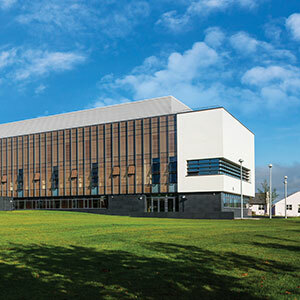 CÚRAM - The Centre for Research in Medical Devices This major new national research centre will be based at NUI Galway. The prime objective for CÚRAM will be to radically improve health outcomes for patients by developing innovative implantable medical devices to treat major unmet medical needs. NUI Galway’s Professor Abhay Pandit, who is currently Director of the Network of Excellence for Functional Biomaterials (NFB), will be the Director of CÚRAM. Three high-profile Co-Directors will bring a depth and breadth of expertise to the new research centre: Professor Lokesh Joshi, Vice-President of Research and Stokes Professor of Glycosciences and Director of AGRC at NUI Galway; Professor Tim O’Brien, Director of the Regenerative Medicine Institute (REMEDI) and Professor of Medicine at NUI Galway; and Professor David Brayden, Professor of Drug Delivery at UCD. CÚRAM will design and create implantable ‘smart’ medical devices. Implants will be designed and manufactured to respond to the body’s environment and to deliver therapeutic agents, such as drugs, exactly where needed. Cutting-edge science will develop devices using the very latest research from biomaterials, stem cells and drug delivery. Devices will be developed with strong clinical collaborations and with industry partners and hospital groups to enable rapid translation to the clinic. CÚRAM’s outputs will benefit in particular patients with chronic diseases such as heart disease, diabetes and musculoskeletal diseases. As the global population ages, with one in 3 people expected to be over 65 by 2050, the financial burden for healthcare is expected to rocket. CÚRAM will position Ireland as the driver in developing medical device technologies which will provide affordable transformative solutions for chronic diseases to meet this challenge. Crucially, CÚRAM will also sustain and permanently strengthen Ireland’s standing as a major global hub for medical device sector research and development. 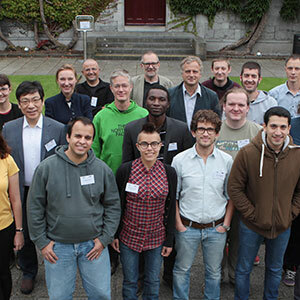 CÚRAM brings together researchers from NUI Galway, UCD, DCU, UL, UCC and RCSI. The centre will include almost 40 industry partners and support product development and the creation of new spin-out companies. 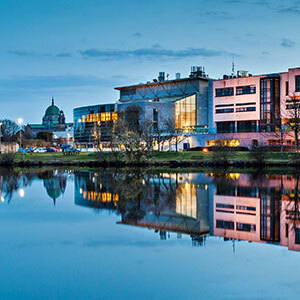 Partners will include indigenous Irish companies and multi-nationals such as Arch Therapeutics Inc, Aerogen, Medtronic Vascular Galway Ltd. iCrag - Centre for Research in Applied Geosciences NUI Galway also forms part of the new Irish Centre for Research in Applied Geosciences (iCRAG). This centre is focused on unlocking Ireland’s natural resources and providing solutions to resource security problems by securing supplies of energy, minerals and safe water. Part of this work will involve “de-risking” investment by exploration companies in Ireland by providing better descriptions and models of the geology to improve our understanding of the key processes influencing their formation. Additionally iCRAG will develop innovative techniques for predicting the location and nature of resources and link them to improved methods for optimising the production of resources throughout Ireland. iCRAG initial research is built around key sectors in the geosciences, notably Raw materials, Marine Geoscience, Groundwater and Hydrocarbons. Emphasis is also placed on increasing the public understanding of geoscience in Ireland and its role in the economy. 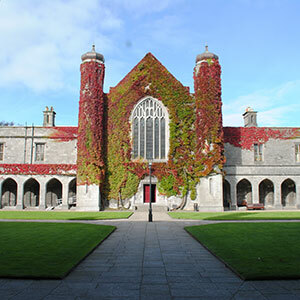 NUI Galway researchers from the discipline of Earth and Ocean Sciences in the School of Natural Sciences will contribute to all aspects of iCRAG research. NUI Galway’s Professor of Earth and Ocean Sciences, Peter Croot, is a co-PI in iCRAG and will lead research in Marine Geosciences in cooperation with colleagues from UCC, Maynooth, TCD, DIAS and the iCRAG host institute, UCD. 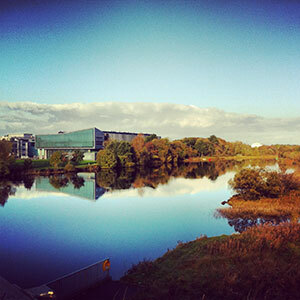 Lero Software Research Centre NUI Galway is also a key part of the Lero Software Research Centre. Software is everywhere and key Irish industry sectors such as manufacturing, medical devices, financial services, cloud computing, analytics, and smart cities depend on it. LERO’s research mission is to replicate the success of traditional software engineering in the context of large-scale, pervasive, physically-integrated, highly interconnected, evolving, and continuously-available systems, in which the boundary between design-time and runtime is disappearing. NUI Galway’s Dr Kieran Conboy, Dean of the College of Business, Public Policy & Law at NUI Galway will lead a group of 14 new research staff to work on software project management and innovation. According to Dr Conboy, while the software industry is particularly strong in Ireland, accounting for €12bn in exports, there are significant challenges to overcome to ensure this sector can play a leading role in Ireland’s recovery. Together with industry the group at NUI Galway will develop, implement and evaluate world-leading software development and management practices in two core areas: • Evolving software: The ways in which software is created and managed are constantly changing. 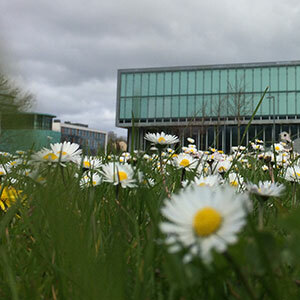 The Lero team at NUI Galway will lead research on contemporary methods for evolving software such as lean and agile approaches, project and portfolio management, decision making and lean analytics. • Open software: The development and management of software crosses teams, organisations and sectors. The team will lead research in open innovation, software ecosystems, crowdsourcing, cloud technologies and design thinking. Geophysics and particularly seismic data are typically very large and growing in size, driven by many factors including higher-resolution sensors, cheaper storage and global acquisition programmes. However much of the software used on a daily basis by engineers and scientists in the field was conceived and built before the era of “Big Data”. The Irish Centre for High-End Computing (ICHEC), a technology centre at NUI Galway, and its industry partners will develop new methods to modernise our approach to handle large datasets in the oil and gas sector. Speaking about today’s announcement in Dublin, Dr Jim Browne, President of NUI Galway, said: “This is a wonderful endorsement of NUI Galway’s consistent approach to supporting selected priority areas of research, particularly in the area of biomedical science. CÚRAM will draw on the very significant pool of talented biomedical researchers on our campus, led by Professors Abhay Pandit, Tim O’Brien, Lokesh Joshi and their teams. CÚRAM holds enormous potential for the Irish economy and the Centre will work with industry partners to support innovation and development in the medical device sector – where Galway and Ireland already have a significant profile as an international hub for ‘medtech’. I am certain too that NUI Galway will make important contributions to the work of both iCrag Centre for Research in Applied Geosciences and Lero Software Centre, through the leadership of Professor Peter Croot and Dr Kieran Conboy. I congratulate my colleagues on securing this very significant research investment, as a result of which I look forward to the emergence of further dynamic and productive partnerships between NUI Galway researchers and industrial partners in the areas of biomedical science, geosciences and software engineering.” Speaking about the selection of the five world-class centres, Professor Mark Ferguson, Director General of SFI and Chief Scientific Adviser to the Government of Ireland, said, “These five new SFI Research Centres were selected following a highly competitive and rigorous international peer review process which screened for scientific excellence and assessed potential economic and societal impact. These five SFI Research Centres complement the seven we announced last year – which are already having a major positive impact: making important scientific advances, initiating and enhancing enterprise, training people with appropriate skills, winning EU projects and enhancing Ireland’s international reputation. These SFI Research Centres combine scientific research with deep and significant enterprise engagement, excellence and impact. We are confident that they will make a significant contribution to Ireland’s economy, employment and reputation.” Speaking at the announcement, Minister for Jobs, Enterprise and Innovation, Richard Bruton TD, said: “A key part of the Government’s Action Plan for Jobs is to build on the major achievements in scientific research we have built up over the past decade and turn more good ideas into good jobs. Today’s announcement will lead to the establishment in Ireland of world-class centres of research excellence and scale which will be game-changers for Irish scientific research.” “The €245 million investment announced today, and the five new, large-scale, world-class research centres it will support, are aimed at achieving a step-change in the reputation and performance of Ireland’s research system. This builds on the announcement of seven similar centres last year. With twelve world-class SFI Research Centres, Ireland is now well placed to take the lead developing cutting-edge research and new technologies, ultimately delivering more commercial ideas and jobs.” The new centres will link scientists and engineers in partnerships across academia and industry to address crucial research questions, and foster the development of new and existing Irish-based technology companies. The aim is also to attract industry that could make an important contribution to Ireland and its economy, and expand educational and career opportunities in Ireland in science and engineering. -ENDS- OÉ Gaillimh i lár an aonaigh san infheistíocht €245 milliún a d'fhógair an tAire Bruton agus an tAire English • Beidh OÉ Gaillimh i gceannas ar ionad taighde náisiúnta nua d'fheistí leighis • Beidh príomhról ag OÉ Gaillimh i dtrí cinn de na cúig ionad nua • €155 milliún de chistí an Státchiste do chúig Ionad Taighde den scoth • Comhinfheistíocht €90 milliún ó bhreis is 165 comhpháirtí tionscail sna hIonaid nua Táthar le hionad taighde nua den scoth d'fheistí leighis a bhunú in OÉ Gaillimh mar chuid den infheistíocht €245 milliún ón Rialtas san eolaíocht agus sa teicneolaíocht. Chomh maith leis sin, beidh ról lárnach ag OÉ Gaillimh in dhá ionad taighde eile a d'fhógair Richard Bruton, T.D. an tAire Post, Fiontar agus Nuálaíochta agus Damien English, T.D. an tAire Post, Fiontar agus Nuálaíochta i mBaile Átha Cliath inniu. Is infheistíocht ollmhór ón Rialtas sa taighde eolaíoch é an fógra a rinneadh inniu faoi na cúig Ionad Taighde SFI nua, agus tá sé ceangailte go dlúth le riachtanais tionscail agus fiontair, le deiseanna fostaíochta agus le spriocanna na sochaí. Déanfar €155 milliún de mhaoiniú Státchiste na hÉireann a infheistiú sna hionaid taighde nua den scoth. Tiocfaidh an maoiniú nua ó Chlár Ionad Taighde Fhondúireacht Eolaíochta Éireann (SFI) mar aon le breis is €90 milliún in airgead tirim agus i ranníocaíochtaí comhchineálacha ó chomhpháirtithe tionscail. Cuirfear an maoiniú ar fáil as seo go ceann sé bliana agus déanfar athbhreithniú meántéarma air. CÚRAM - An tIonad Taighde d'Fheistí Leighis Beidh an t-ionad taighde náisiúnta ollmhór nua seo lonnaithe in OÉ Gaillimh. Is é príomhchuspóir CÚRAM feabhas radacach a chur ar thorthaí sláinte d'othair trí fheistí leighis so-ionchlannaithe nuálacha a fhorbairt chun cóireáil a chur ar fáil do riachtanais leighis nach bhfuil freastal á ndéanamh orthu. Beidh an tOllamh Abhay Pandit as OÉ Gaillimh, atá ina Stiúrthóir faoi láthair ar an nGréasán Feabhais do Bhithábhair Fheidhmeacha (NFB), ina Stiúrthóir ar CÚRAM. Cuirfidh triúr Comh-Stiúrthóirí iomráiteacha saineolas domhain agus leathan ar fáil don ionad taighde nua: An tOllamh Lokesh Joshi, Leas-Uachtarán Taighde agus Ollamh Stokes le Gliceolaíocht agus Stiúrthóir AGRC in OÉ Gaillimh; an tOllamh Tim O’Brien, Stiúrthóir Institiúid an Leighis Athghiniúnaigh (REMEDI) agus an tOllamh le Leigheas in OÉ Gaillimh; agus an tOllamh David Brayden, Ollamh le Seachadadh Drugaí in UCD. Déanfaidh CÚRAM feistí leighis 'cliste' so-ionchlannaithe a dhearadh agus a chruthú. Déanfar ionchlannáin a dhearadh agus a tháirgeadh le freastal ar thimpeallacht an choirp agus chun gníomhaithe teiripeacha, cosúil le drugaí, a sholáthar san áit ina bhfuil siad ag teastáil. Forbróidh eolaíocht cheannródaíoch feistí trí úsáid a bhaint as an taighde is déanaí ó bhithábhair, ó ghaschealla agus ó sheachadadh drugaí. Forbrófar feistí le comhpháirtíochtaí cliniciúla láidre agus le comhpháirtithe tionscail agus le grúpaí ospidéil chun aistriú tapa go dtí an clinic a chumasú. Bainfidh othair a bhfuil galair ainsealacha cosúil le galar croí, diaibéiteas agus galair mhatánchnámharlaigh ag gabháil dóibh buntáiste as obair CÚRAM. De réir mar a théann daonra an domhain in aois, agus duine as gach triúr le bheith os cionn 65 bliain d'aois faoi 2050, táthar ag tuar go dtiocfaidh ardú thar na bearta ar an gcostas a bhaineann le cúram sláinte. Le cabhair ó CÚ‏RAM beidh Éire ar thús cadhnaíochta i bhforbairt teicneolaíochtaí feistí leighis agus cuirfidh sí réitigh thrasfhoirmeacha ar phraghas réasúnta ar fáil do ghalair ainsealacha chun aghaidh a thabhairt ar an dúshlán seo. Cothóidh agus neartóidh CÚRAM seasamh na hÉireann mar mhol domhanda do thaighde agus d'fhorbairt in earnáil na bhfeistí leighis. Beidh taighdeoirí as OÉ Gaillimh, UCD, DCU, UCC agus RCSI ag obair in CÚRAM. Beidh beagnach 40 comhpháirtí tionscail bainteach leis an ionad áit a bhforbrófar táirgí agus a gcruthófar mac-chuideachtaí nua. Beidh cuideachtaí Éireannacha agus ilnáisiúnta cosúil le Arch Therapeutics Inc, Aerogen, Medtronic Vascular Galway Ltd. mar chomhpháirtithe. iCrag - Ionad do Thaighde Geo-eolaíochtaí Feidhmeacha Tá baint ag OÉ Gaillimh chomh maith leis an Ionad nua Éireannach do Thaighde Geo-eolaíochtaí Feidhmeacha (iCRAG). Tá an t-ionad dírithe ar acmhainní nádúrtha na hÉireann a chur ar fáil agus réitigh a fháil d'fhadhbanna slándála acmhainní trí fhuinneamh, mianraí agus uisce sábháilte a sholáthar. Bainfidh cuid den obair seo le hinfheistíocht dé-rioscaithe ó chuideachtaí taiscéalaíochta in Éirinn trí thuairiscí agus trí mhúnlaí níos fearr den gheolaíocht a chur ar fáil chun ár dtuiscint ar na príomhphróisis a mbíonn tionchar acu ar a bhfoirmiú a fheabhsú. Chomh maith leis sin, forbróidh iCRAG teicnící nuálaíocha chun suíomh agus nádúr na n-acmhainní a dhéanamh amach agus iad a cheangal le modhanna feabhsaithe chun táirgeadh acmhainní a uasmhéadú ar fud na hÉireann. Tá buntaighde iCRAG bunaithe ar phríomhearnálacha sna geo-eolaíochtaí, go háirithe Amhábhair, Geo-eolaíocht Mhuirí, Screamhuisce agus Hidreacarbóin. Cuirtear béim chomh maith ar chur thuiscint an phobail ar an ngeo-eolaíocht in Éirinn agus ar a ról sa gheilleagar a fheabhsú. Oibreoidh taighdeoirí OÉ Gaillimh ó dhisciplín na nEolaíochtaí Domhain agus Aigéin i Scoil na nEolaíochtaí Nádúrtha ar gach gné de thaighde iCRAG. Tá an tOllamh de chuid OÉ Gaillimh le hEolaíochtaí Domhain agus Aigéin, Peter Croot, ina chomh-Phríomhthaighdeoir in iCRAG agus beidh sé i gceannas an taighde ar Gheo-eolaíochtaí Muirí i gcomhar le comhghleacaithe ó UCC, Má Nuad, TCD, DIAS agus óstinstitiúid iCRAG, UCD. Ionad Taighde Bogearraí Lero Tá páirt lárnach chomh maith ag OÉ Gaillimh in Ionad Taighde Bogearraí Lero. Tá bogearraí i ngach áit agus braitheann príomhearnálacha tionscail na hÉireann cosúil le déantúsaíocht, feistí leighis, seirbhísí airgeadais, néalríomhaireacht, anailísíocht agus cathracha cliste ar bhogearraí. Is é misean taighde LERO macasamhail den rath a bhain le hinnealtóireacht thraidisiúnta bogearraí a chruthú i gcomhthéacs córas atá mór, forleatach, comhtháite go fisiciúil, thar a bheith idirnasctha, athraitheach agus ar fáil go leanúnach, áit a bhfuil deireadh ag teacht leis an teorainn idir an t-am a thógann sé iad a dhearadh agus iad a rith. Is é an Dr Kieran Conboy, Déan Choláiste an Ghnó, an Bheartais Phoiblí & an Dlí in OÉ Gaillimh a bheidh ag stiúradh an ghrúpa de 14 chomhalta foirne taighde nua a bheidh ag obair ar bhainistíocht tionscadal agus nuálaíocht bogearraí. Dar leis an Dr Conboy, cé go bhfuil tionscal na mbogearraí thar a bheith láidir in Éirinn, agus é freagrach as €12bn in easpórtálacha, tá dúshláin shuntasacha le sárú le cinntiú go mbeidh páirt lárnach ag an earnáil seo in athshlánú na hÉireann. In éineacht leis an tionscal, déanfaidh an grúpa in OÉ Gaillimh cleachtais forbartha agus bhainistíochta bogearraí a fhorbairt, a chur i bhfeidhm agus a mheas in dhá phríomhréimse: • Bogearraí athraitheacha: Tá athrú de shíor ag teacht ar na bealaí ina ndéantar bogearraí a chruthú agus a bhainistiú. Beidh foireann LERO in OÉ Gaillimh ag stiúradh an taighde ar mhodhanna comhaimseartha do bhogearraí athraitheacha cosúil le cur chuigí barainneacha agus solúbtha, bainistíocht tionscadal agus punainne, cinnteoireacht agus anailísíocht bharainneach. • Bogearraí oscailte: Baineann forbairt agus bainistíocht bogearraí le foirne, le heagraíochtaí agus le hearnálacha. Beidh an fhoireann i gceannas ar thaighde ar nuálaíocht oscailte, éiceachórais bhogearraí, sluafhoinsiú, teicneolaíochtaí néalríomhaireachta agus smaointeoireacht dheartha. Is iondúil go mbíonn sonraí geoifisice agus seismeacha, go háirithe, an-mhór agus ag méadú. Is iomaí fachtóir is cúis leis seo lena n-áirítear braiteoirí le taifeach níos airde, cláir stórála agus shealbhaithe dhomhanda níos saoire. Ach baineann an chuid is mó de na bogearraí a úsáideann innealtóirí agus eolaithe go laethúil leis an tréimhse roimh an “Olltiomsú Sonraí”. Forbróidh Ionad Ríomhaireachta Ardleibhéil na hÉireann (ICHEC), ionad teicneolaíochta in OÉ Gaillimh, agus a chomhpháirtithe tionscail, modhanna nua chun beocht a thabhairt don chur chuige maidir le tacair shonraí mhóra in earnáil an ola agus an gháis a láimhseáil. Ag labhairt dó faoin bhfógra i mBaile Átha Cliath inniu, dúirt an Dr Jim Browne, Uachtarán OÉ Gaillimh: “Is iontach an léiriú é seo ar chur chuige leanúnach OÉ Gaillimh i leith tacú le réimsí tosaíochta roghnaithe taighde, go háirithe i réimse na heolaíochta bithleighis. Bainfidh CÚRAM úsáid as an ngrúpa suntasach taighdeoirí bithleighis den scoth ar ár gcampas, faoi stiúir na nOllúna Abhay Pandit, Tim O’Brien, Lokesh Joshi agus a bhfoirne. Tá poitéinseal ollmhór ag baint le CÚRAM do gheilleagar na hÉireann agus oibreoidh an t-ionad le comhpháirtithe tionscail chun tacú le nuálaíocht agus le forbairt in earnáil na bhfeistí leighis – earnáil ina bhfuil próifíl ard cheana féin ag Gaillimh agus ag Éirinn mar mhol idirnáisiúnta do chuideachtaí leighis-teicneolaíochta. Táim cinnte chomh maith go gcuirfidh OÉ Gaillimh go mór le hobair an Ionaid iCrag do Thaighde sna Geo-eolaíochtaí Feidhmeacha agus Ionad Bogearraí Lero, le cabhair ó cheannaireacht an Ollaimh Peter Croot agus an Dr Kieran Conboy. Tréaslaím le mo chomhghleacaithe as an infheistíocht taighde an-suntasach seo a bhaint amach, agus táim ag súil dá bharr go mbeidh tuilleadh comhpháirtíochtaí fiúntacha agus dinimiciúla idir taighdeoirí OÉ Gaillimh agus comhpháirtithe tionscail sna réimsí eolaíochta bithleighis, geo-eolaíochtaí agus innealtóireachta bogearraí.” Ag labhairt dó faoi roghnú na gcúig ionad den chéad scoth, dúirt an tOllamh Mark Ferguson, Ard-Stiúrthóir SFI agus Príomh-Chomhairleoir Eolaíoch le Rialtas na hÉireann: “Roghnaíodh na cúig Ionad nua Taighde SFI seo tar éis próiseas athbhreithnithe piaraí idirnáisiúnta thar a bheith iomaíoch agus dian. Rinne an próiseas scagadh ar shárchaighdeán eolaíoch agus rinne sé tionchar poitéinsiúil eacnamaíoch agus sochaíoch a mheas. Feidhmeoidh na cúig Ionad Taighde SFI seo leis na seacht gcinn a fógraíodh anuraidh – agus a bhfuil tionchar thar a bheith dearfach acu cheana féin: ag déanamh dul chun cinn tábhachtach ó thaobh na heolaíochta de, ag cur tús le fiontraíocht agus á feabhsú, ag cur oiliúint ar dhaoine le scileanna cuí, ag buachan thionscadail AE agus ag cur le cáil idirnáisiúnta na hÉireann. Nascann na hIonaid Taighde SFI seo taighde eolaíoch le rannpháirtíocht, le sárchaighdeán agus le tionchar fiontraíochta ar leibhéal domhain agus suntasach. Táimid muiníneach go gcuirfidh siad go suntasach le geilleagar, le fostaíocht agus le cáil na hÉireann.” Ag labhairt dó ag an bhfógra, dúirt an tAire Post, Fiontar agus Nuálaíochta, Richard Bruton TD: “Is príomhchuid de Phlean Gníomhaíochta do Phoist an Rialtais cur leis na móréachtaí i dtaighde eolaíoch atá déanta againn le deich mbliana anuas agus poist mhaithe a chruthú as smaointe maithe eile. Mar thoradh ar fhógra an lae inniu, bunófar ionaid sárchaighdeáin taighde den chéad scoth in Éirinn a athróidh go suntasach an taighde eolaíoch in Éirinn as seo amach.” “Tá an infheistíocht €245 milliún a fógraíodh inniu, agus na cúig ionad nua mhórscála taighde den scoth a gheobhaidh tacaíocht ón infheistíocht sin, dírithe ar athrú suntasach a bhaint amach i gclú agus i bhfeidhmíocht an chórais taighde in Éirinn. Cheana féin anuraidh fógraíodh go raibh seacht n-ionad eile chun maoiniú a fháil. Agus dhá Ionad Taighde SFI déag den scoth in Éirinn, tá deis againn anois ceannas a thógáil ar thaighde ceannródaíoch agus teicneolaíochtaí nua a fhorbairt, a chuirfidh níos mó smaointe tráchtála agus post ar fáil.” Déanfaidh na hionaid nua eolaithe agus innealtóirí a nascadh i gcomhpháirtíochtaí sa saol acadúil agus sa saol tionsclaíochta chun aghaidh a thabhairt ar cheisteanna fíorthábhachtacha taighde, agus chun forbairt cuideachtaí teicneolaíochta atá bunaithe in Éirinn, idir chuideachtaí nua agus chuideachtaí atá ann cheana féin, a chothú. Tá sé mar aidhm freisin tionscal a mhealladh a d’fhéadfadh a bheith an-tairbheach d’Éirinn agus do gheilleagar na hÉireann, agus níos mó deiseanna oideachais agus gairme san eolaíocht agus san innealtóireacht a chur ar fáil in Éirinn.